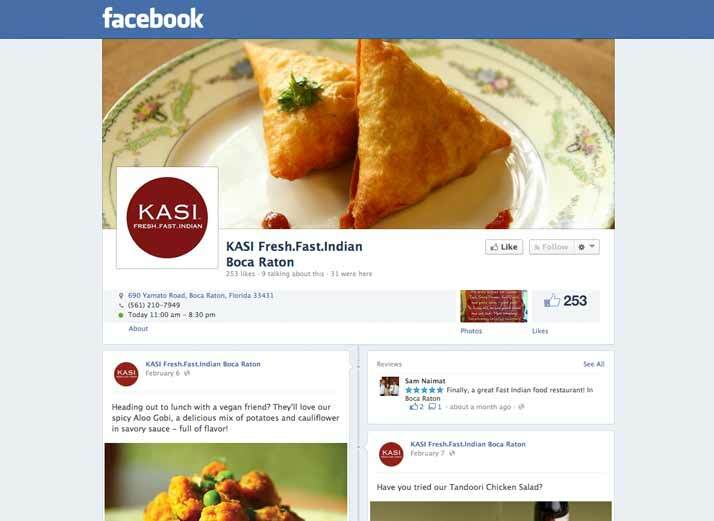 The Challenge: KASI Reastaurants is a fast growing fast-casual Indian restaurant chain with locations in California and Florida, and did not have dedicated resources in place to update and improve their social media marketing efforts. The Solution: Created marketing pieces and messaging for all communications channels, managed all branding and marketing tasks. Worked with location managers to ensure consistent brand messaging and seasonal displays. Attended events to monitor brand communications, interact with consumers, and capture photos of customer interactions for posting on social media. Engaged and worked to build community on Twitter and Facebook. 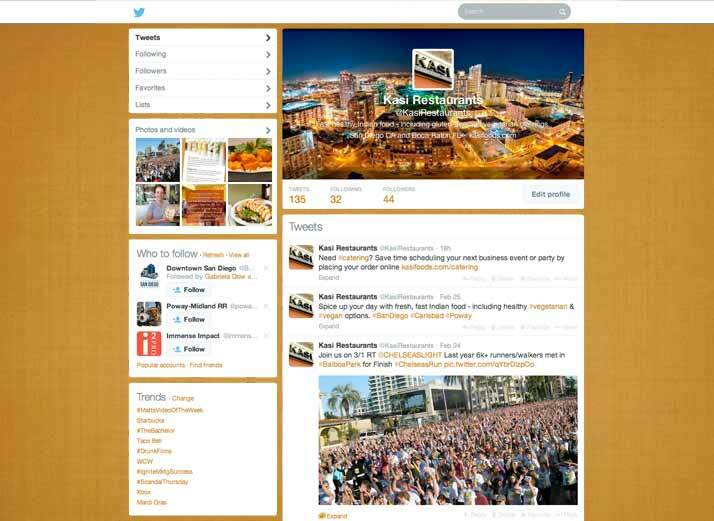 Created Facebook page for multiple locations, ran periodic Facebook and Google advertising. Reported to management on activity and engagement levels.